If you are searching for a bench that is versatile, unique and suitable for outdoors, then we think you’ve found it with the Zambezi Outdoor Wicker Bench in Chalk! 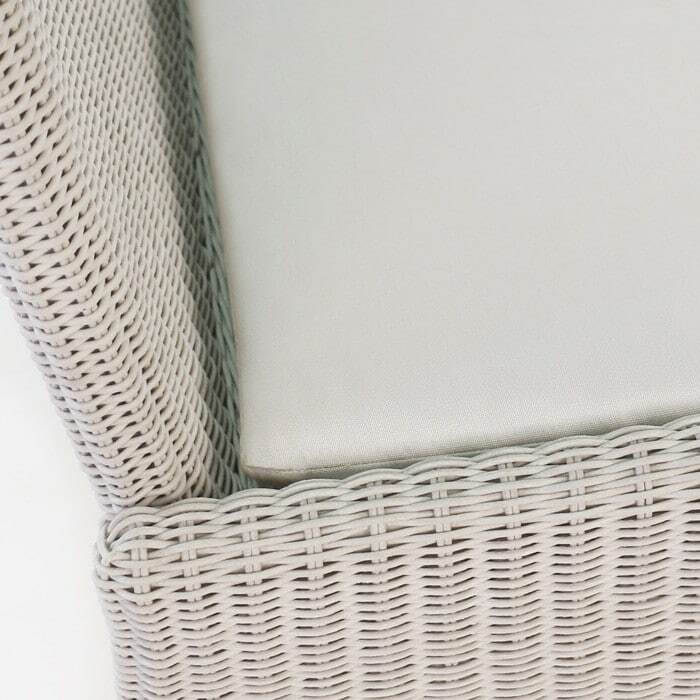 Our Zambezi Outdoor Wicker Bench (Chalk) is a beautiful new piece from our astonishing Zambezi Collection. 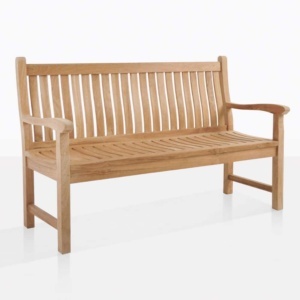 Whether you’re placing it at a dinner table, in the midst of your garden or adding it to the Zambezi Deep Seating set, we are confident you will be thrilled with the chic styling and comfortable nature of this gorgeous bench. 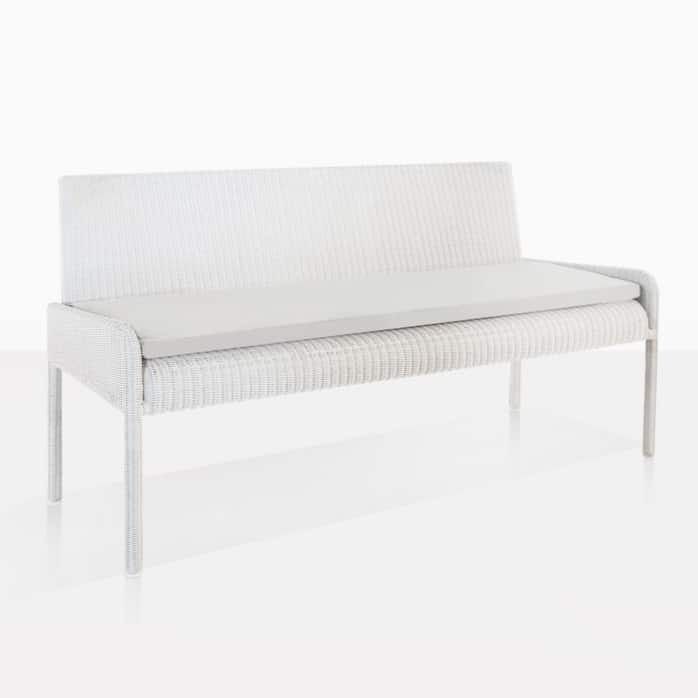 The Zambezi Outdoor Wicker Bench (Chalk) features a slim frame, made out of powder coated aluminium and wrapped with a great new All Weather Wicker material, which has been through dyed and UV treated, and configured into a delicate, slim weave in an attractive chalk colour. A slender Sunbrella® pad completes the look, which we fill with QuickDry® foam so you don’t have to worry about bringing anything inside. We do our bit to make sure your furniture is luxury and hassle free! 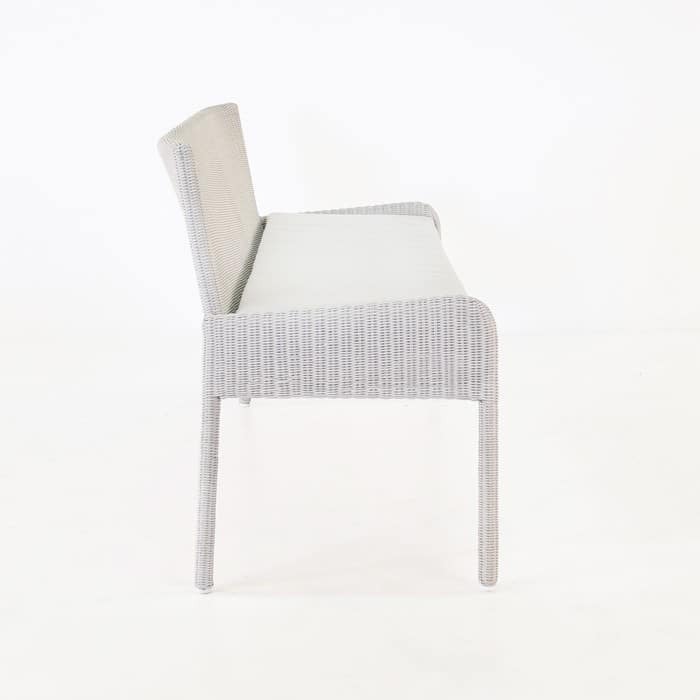 The Zambezi Outdoor Wicker Bench (Chalk) can be placed indoors as well as out! 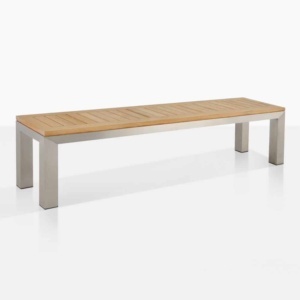 Put this glamorous bench in your entranceway as a great entry point to rest on! Have a garden in need of some colour and life? Situate the Zambezi Outdoor Wicker Bench (Chalk) in amongst some vibrant flowers and viola! Instant glory! 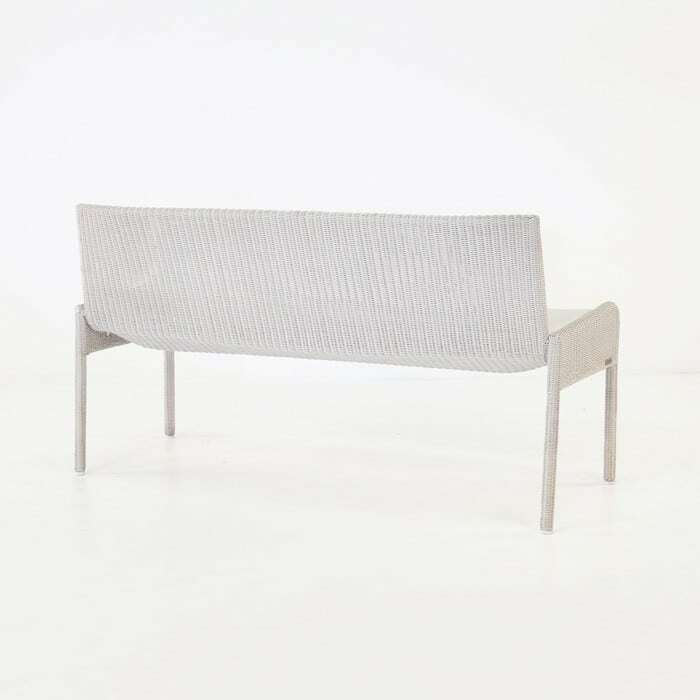 The Zambezi Outdoor Wicker Bench (Chalk) is also available in gorgeous Pebble Grey – come in to our Auckland store for a squiz or peruse our comprehensive website! Any questions? Our sales assistants are here to help, so call or email us today!